The nature of branding is changing. Digital space is king and above all else, a brand must be able to be identified through the tiny profile images on social media channels. In this new world, intricate detail, drop shadows and fussy images just don’t translate. Look at this case study of the recent US Open tennis tournament brand redesign. The US Open is a well-established institution. It forms one of the four Grand Slam international tennis tournaments and recently celebrated its 50th anniversary. Its previous logo included a golden flaming tennis ball with a red swish that wrapped around a thin serif US OPEN in all caps. A refreshing new design by Chermayeff & Geismar & Haviv has taken the best elements of that and completely changed the character of the brand. We said simplicity is key. The new branding is sleek and clear. The deep blue background helps the stylized yellow tennis ball stand out boldly (a clear nod to the old logo and a smart inclusion for the sake of continuity). The ball is obviously moving at speed and invokes strength and sporting prowess. The text still reads us open but does so in a lightly italicized lower-case font. The thick white font is sans serif, which is a nod to modern text styling preferences. The branding is exquisite in its flexibility and adaptability. It translates as a neat package for social media use, but the blue background can also expand to fill stadium-sized billboards without any loss of impact. The yellow ball marque is eye-catching at any size. The logo is so versatile that merchandising should also be a simple matter. The move toward simpler brand design is not isolated to the US Open. Other well-known brands such as Starbucks have also refreshed their branding to reflect a simpler approach, while maintaining continuity with the old. 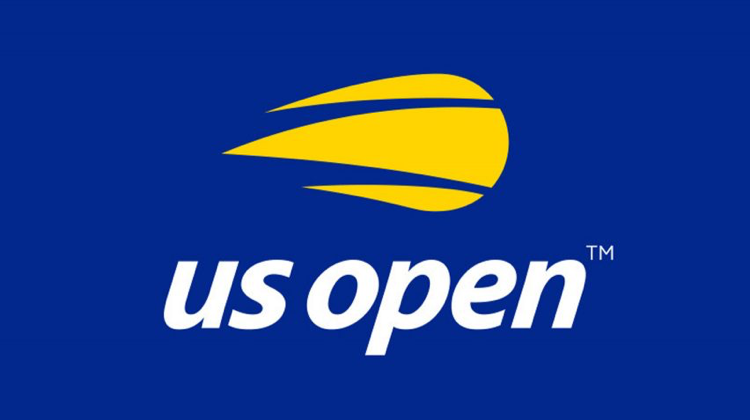 In the case of the US Open, the new logo is instantly recognizable and versatile. When visual clutter is removed and colors updated to enhance rather than complicate, a logo has the space to communicate. As larger number of people shift to a mobile-only environment, logos and branding must also take care to translate to smaller screens. Mobile website culture demands plenty of negative space, simple navigation and clean lines. The new US Open logo proves that it is achievable while staying true to the central idea of the logo itself. A final word on why simplicity works. The digital world invests a lot of time any money to get our attention in any way possible. It’s a closed environment that’s often filled with auto-play videos and endless scrolling through image after image. A crisp clear logo can give the eyes a moment to rest. The clean lines and elegantly balanced colors can draw attention purely because of its stylish simplicity.